COD. ART. : 1503/18. 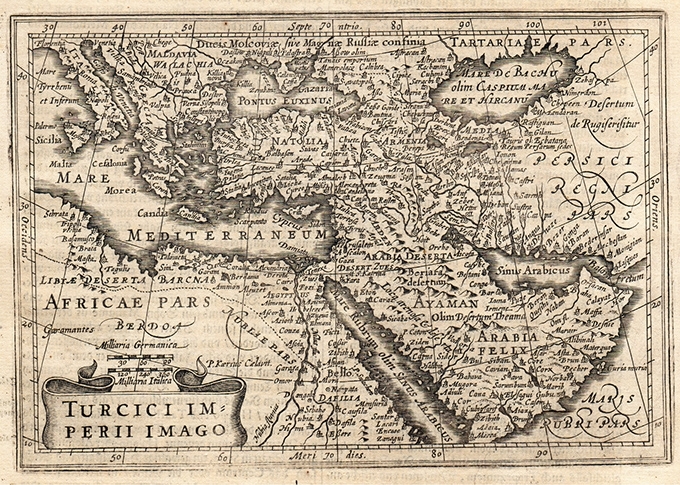 Category: Asia Minor and the Middle East. Tags: 20th Century, Turkey. 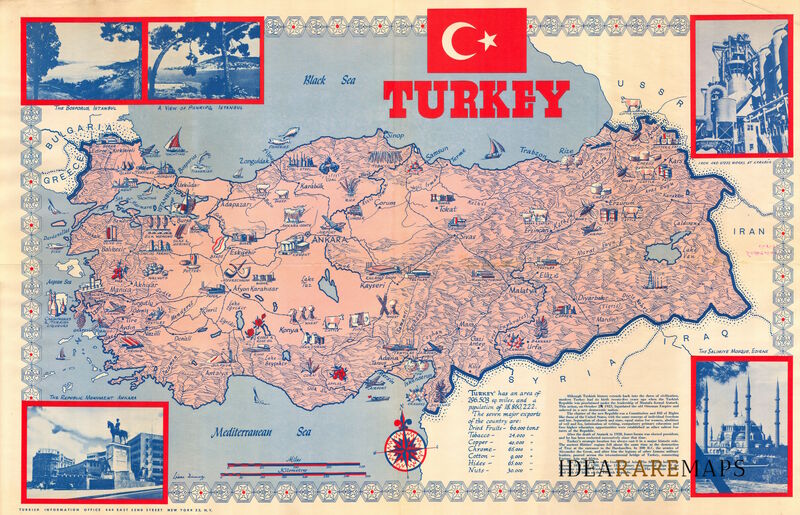 A rare decorative large pictorial map of Turkey showing the economic production activities and sites in the Country. Includes text, table of export production data, color illustration of national flag, and photographic illustrations of economic activities. Drawn by Liam Dunne (signed at bottom left) published in New York in 1950 circa. 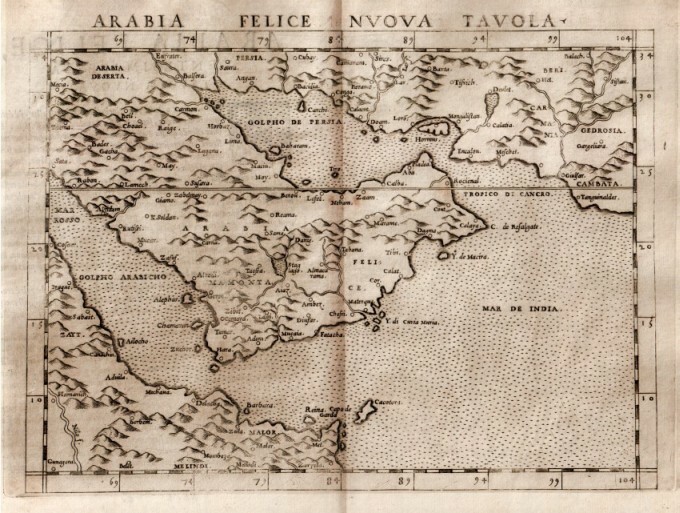 A fine miniature map of Palestine from “Epitome du Theatre” published in Antwerp in 1598 with french text on verso. The engraver was P. Galle. 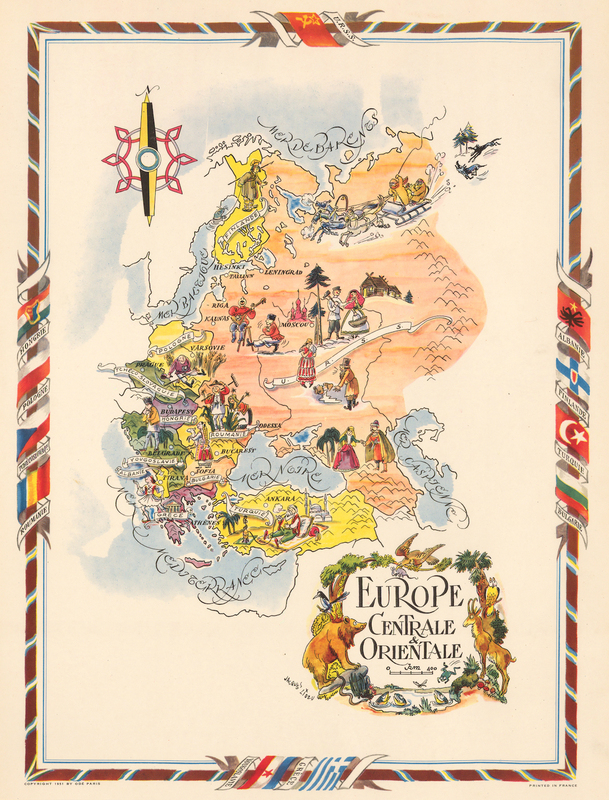 Color pictorial map of Central and Eastern Europe from Greece to Poland, Baltic and Russia, with decorative title cartouche and borders, depict countries, regions, major cities, industries, agriculture and wildlife. 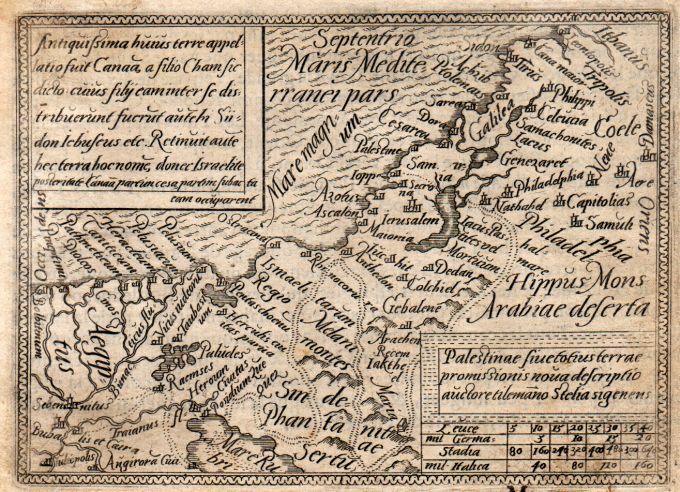 Includes decorative compass rose oriented with the north to upper left margin. 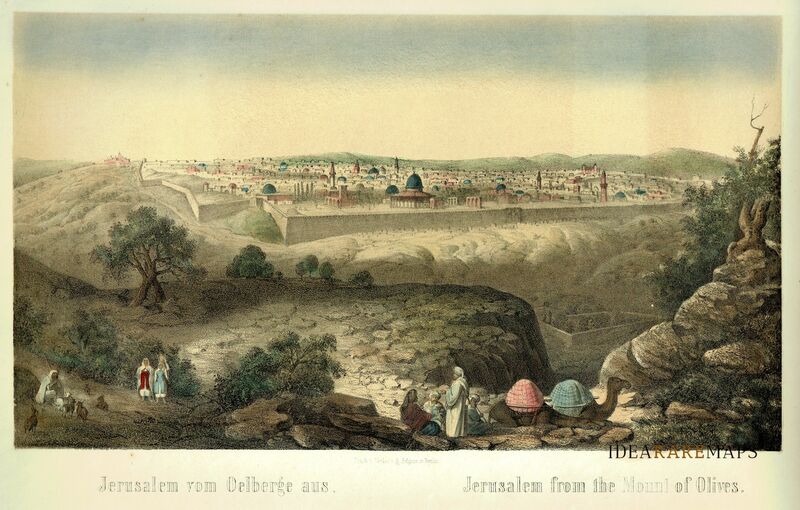 Relief shown pictorially. Published by Ode Paris in 1951 from a drawn by Jaques Liozu.